Outsourcing hardwood floor restoration and repair to contractors can be expensive, particularly if you face a complex job. With a little online education, however, you may be able to perform spot repairs yourself, assuming you take care and use appropriate tools. What Causes Wood to Warp? When wood becomes saturated with water, it eventually dries and contracts. The wood will sometimes curl at the edges when it loses moisture. High humidity causes boards to expand because the wood soaks up water in the air. Excessive changes in temperature also can cause warping due to the wood’s expansion. During the winter, gaps can appear in the wood as the temperature change causes boards to shrink. In higher heat, the wood can expand past the bounds of initial installation, causing boards to rub against one another. With nowhere to expand horizontally, the boards will curl. 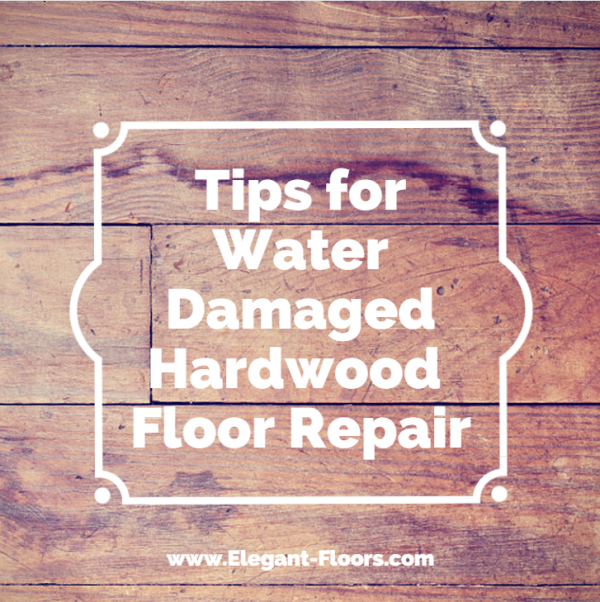 The method you should use on hardwood floor water damage repairs depends on the extent and nature of the damage. If your hardwood flooring has curled, you might be able to use an orbital sander to flatten the boards. Make sure to vacuum any sawdust that might fall between the boards. Porous wood or a highly compromised finish might require more aggressive sanding. If the edges of the boards are cracked, you will probably need to replace the floor. Here’s another hardwood floors installation and damage-prevention tactic: apply a strong veneer that can withstand heavy foot traffic, as well as a sealed moisture barrier underneath the wood. Never sand against the wood grain. If possible, check to ensure your moisture barrier is intact. Reapply finishes at regular intervals. 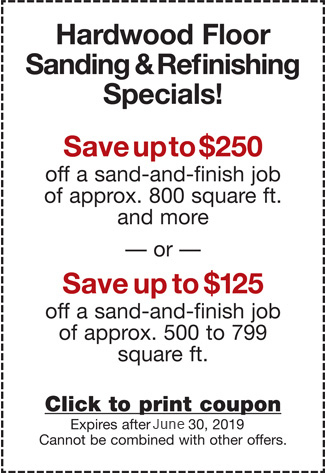 Use latex sealers to fill large gaps between boards. If your hardwood floors are beyond any DIY method of damage control, contact the professionals at Elegant Floors today for a free estimate. Our knowledgeable staff can diagnose the problem, provide insight into your hardwood repair needs, and get the job done in just a couple days time. Give us a call today at (650) 961-1339 or (408) 773-8624 for more information, and don’t forget to ask about our dust-free refinishing process!